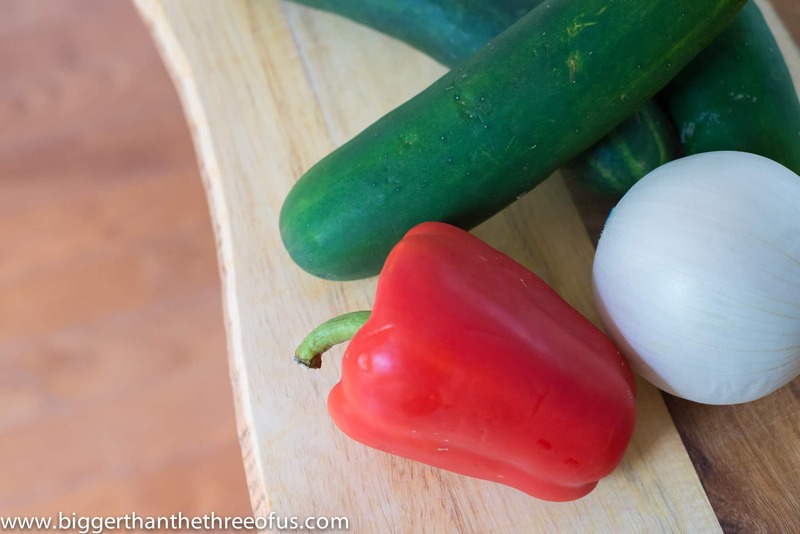 How to Pickle Cucumbers and Onions the Easy Way! I hope no one throws a hissy fit, because I am veering off to recipe land today. I promise I’m not getting away from my DIY projects! I’ve actually been thinking about posting a recipe here or there for quite some time and I’ve finally decided to just get on it. We all love good food, right? Well, I solemnly swear to only post, not just good recipes, but great recipes. 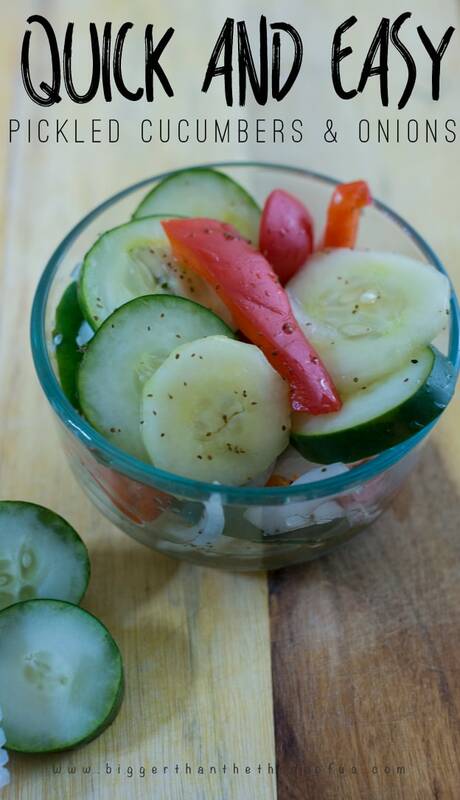 So today, I’m sharing a simple side dish, pickled cucumbers and onions. I love these suckers and they pair perfectly with burgers. They are great to take to get-togethers and can be served as a side or on top of a burger (if you’re daring!). 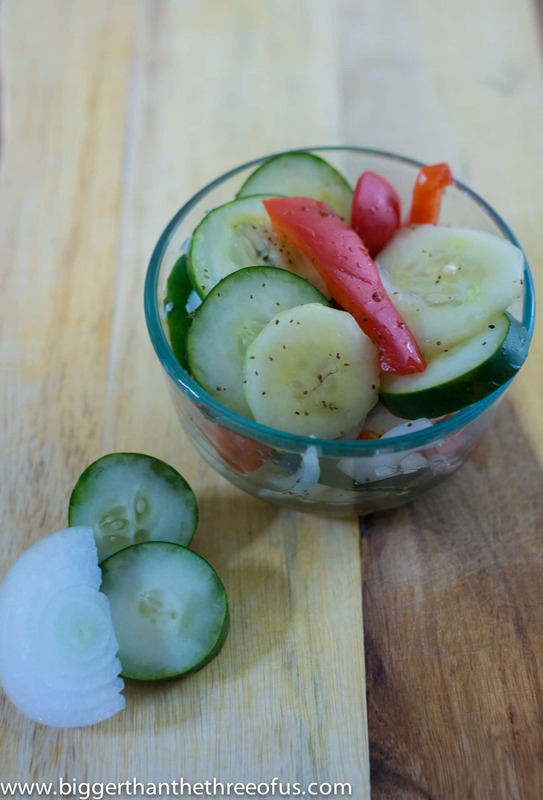 So, are you ready to learn How to Pickle Cucumbers and Onions the Easy Way!? Hope so! My Grandpa has a garden every year, so he always makes different variations of this dish. Sometimes, the dish has dill or cinnamon, sometimes you drop the red peppers. Really, all variations are just great. 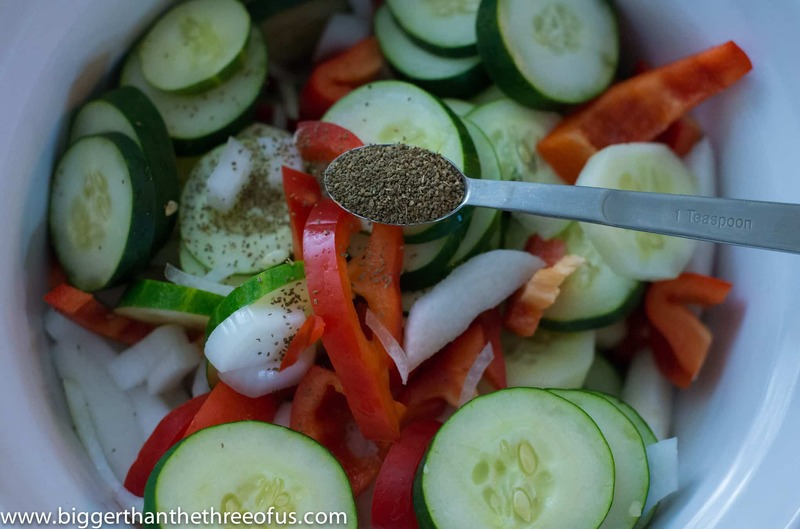 The special seasoning in this particular quick pickled recipe is the celery seed. It really shines through. Did I peak your interest enough? 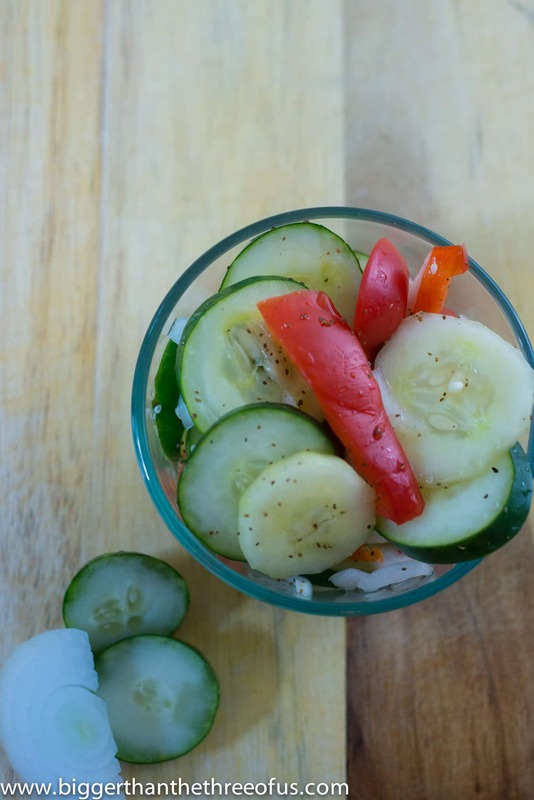 Prepare your cucumbers, pepper and onion as directed. 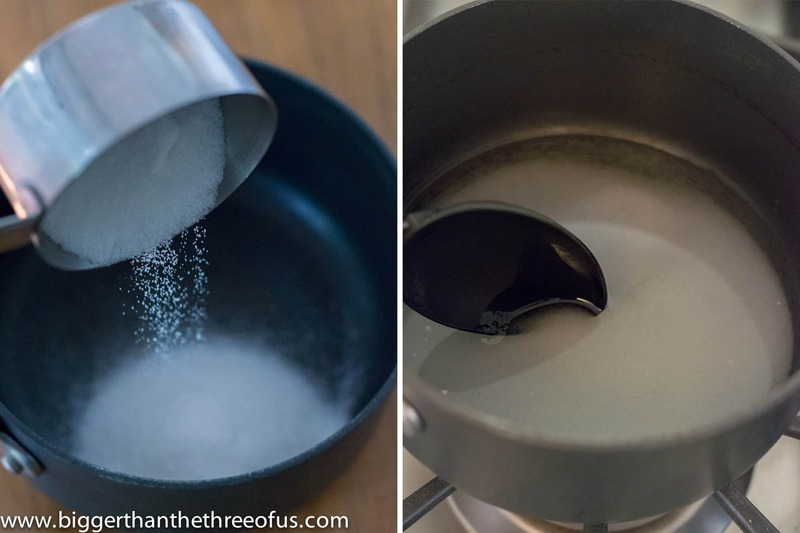 In a small saucepan over medium heat, dissolve the sugar in the vinegar. Add all ingredients together in a large jar. That’s it! They are better if they sit for a day or two in the refrigerator, just stir the mixture occasionally. 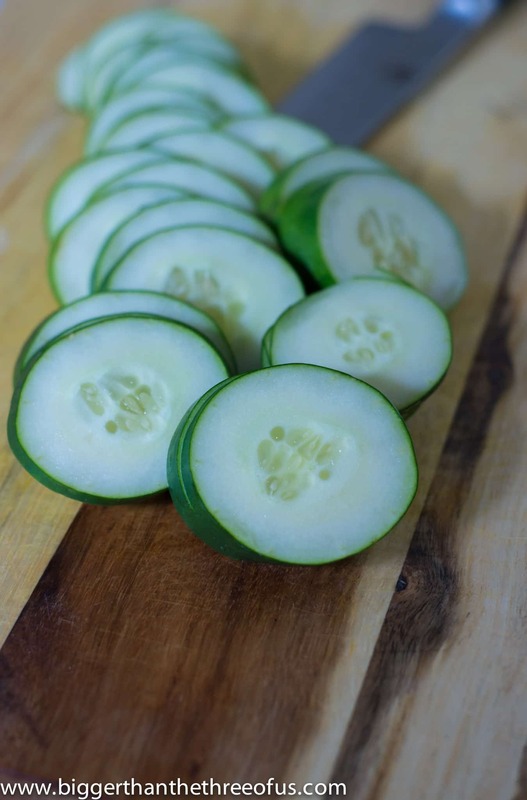 Over time, the cucumbers will become softer and the liquid mixture will grow. Eat them as a side or on a burger, they are great either way.